If a positive serological test results, it is current practice that an intestinal biopsy must be done in order to determine intestinal damage. This “gold standard” for celiac disease diagnosis is considered necessary in the medical world in order to diagnose celiac disease and recommend a gluten free diet. However, many are beginning to recognize this test as no better than “tarnished silver”. Small bowel biopsies are done during an endoscopy. When the patient is asleep, the doctor passes a long, narrow tube through the patient’s mouth and stomach into their intestine. Small instruments are then passed through the endoscope to remove tissue samples, usually in the descending duodenum. A pathologist can study these tissue samples to look for villi damage. In essence, the intestinal biopsy will only appear positive if the villi damage has been done to the portion of the small intestine being tested. Furthermore, the tissue needs to be cut at the appropriate angle and the pathologist needs to know what he is looking for. Lastly, why is this needed, if a positive serological panel for celiac disease already exists? After all, the autoantibodies directly correlate with the damage to the gut. To answer this question we must step back in time. In the 1950s Sidney Haas began to recognize mild cases of chronic or recurrent diarrhea could be signs of celiac disease, where previously it had only been severe cases in children that were diagnosed. However, in 1956 Margot Shiner devised the first intestinal biopsy. With the new diagnostic tool, pathological changes in the intestine replaced clinical observation. It is important to note that these pathological changes are due to severe damage to the intestine, thereby eliminating the mild cases Sidney Haas had begun to diagnose. 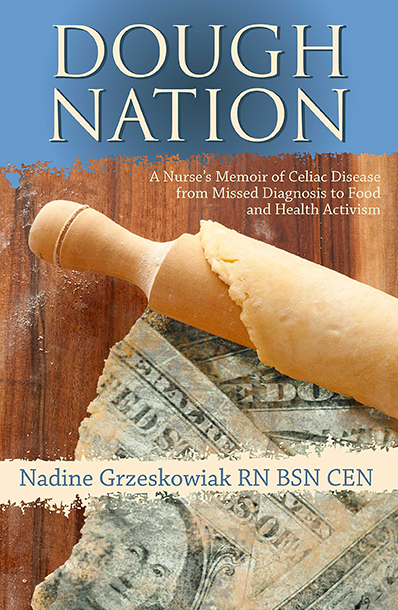 Quickly, celiac disease began to disappear from the United States repertoire of diagnoses. My question to you is this: Why wait until the damage to the small intestine has already been done before going on a gluten free diet? Why not start it today and prevent yourself the harm in the first place? Abel, E K. (2010). The Rise and fall of celiac disease. Journal of the History of Medicine, 65, 81-105.